DOWNLOAD: If you liked "Possum Kingdom" you'll love "City of Hate," a song off the Texas band's August release. Fort Worth, TX, alt-rockers the Toadies — the guys behind the 1994 grunge hit “Possum Kingdom” — are preparing for the August 10 release of Feeler, their second album since reuniting in 2006. SPIN.com has scored the first leak from the set, “City of Hate,” and if it sounds like vintage Toadies there’s good reason. Download the song below. Following years of touring behind their breakout debut Rubberneck, the Toadies returned to the studio in 1997 and recorded 14 songs for Feeler. But Interscope Records rejected its release and sent the band back to the studio. 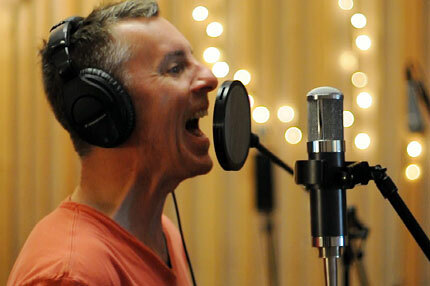 The Toadies eventually wrote and recorded a new batch of songs for their 2001 sophomore album Hell Below / Stars Above, while Feeler sat in the vaults. So, dear Interscope, what exactly didn’t you see in Feeler? Please, do tell. Download “City of Hate,” then tell us what you think in the comment section. Also, for more on Feeler, watch the trailer below.